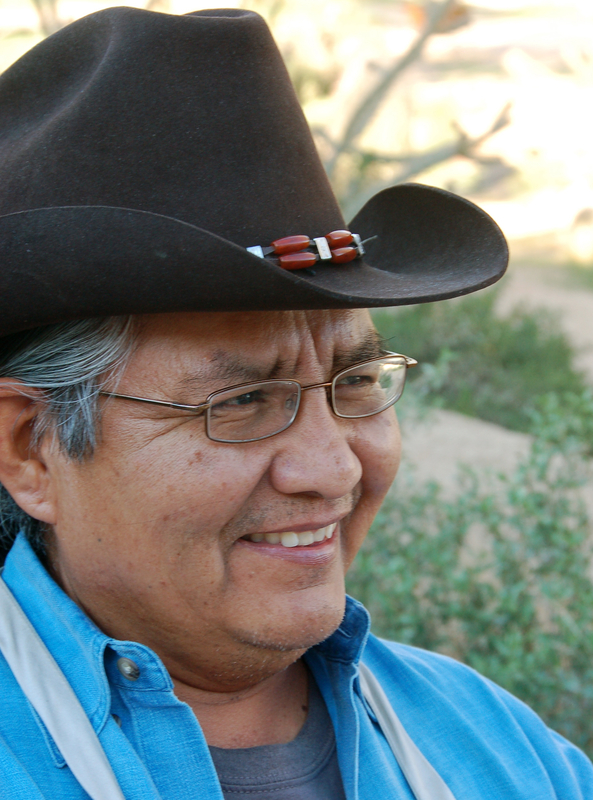 ST. GEORGE — Dixie State University’s weekly “Dixie Forum: A Window on the World” series will host artist Johnson Yazzie in a presentation Tuesday at the Dunford Auditorium in the Browning Resource Center, 225 S. 700 East, in St. George. Admission is free and the public is encouraged to attend. The lecture will accompany the opening of his fine art exhibit in the Sears Art Museum Gallery. During the Dixie Forum, Yazzie will speak about his creative process. The artist employs realistic and semi-abstract styles of painting, sometimes within the same piece. He often uses atmospheric symbols and occasionally paints in the style of the old Dutch masters with dark under-painting followed by layers of paint. He begins each canvas with heavy washes of dark colors and slowly brings the figures forward out of that darkness. As the individuality of each piece starts to establish itself, the mood, the background colors and details fall into place. Many of Yazzie’s paintings have been portraits of American Indians, Indian faces, ceremonial gatherings and scenes of the everyday life on a reservation. The exhibit, which will be on display Monday through Nov. 20, will feature Yazzie’s oil paintings in the gallery’s grand foyer. The show will also include the exhibit “Shadowing Sharon: Shades of Gray,” which features Sharon Gray’s photographs of her shadow set to music. Also as part of the show, alumnus Matt Conlon’s ceramic display that shows his evolving exploration of form, surface and technique will be on display. An artist reception will be held for the exhibit Oct. 16 from 7-9 p.m. in the Sears Art Museum Gallery located in the Dolores Dorè Eccles Fine Arts Center on the DSU campus. Dixie forum is a weekly lecture series designed to introduce the St. George community to diverse ideas and personalities while widening their worldviews through a 50-minute presentation. The Dixie forum will continue next week with a panel discussion about the Utah Shakespeare Festival, Oct. 6, noon, in the Dunford Auditorium.